Turkish President Erdogan Re-Elected with 52.6 Percent Votes. 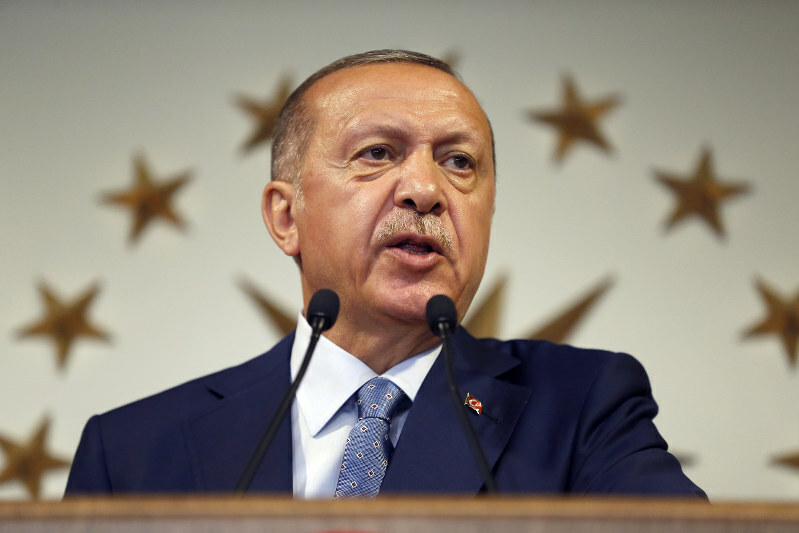 In Turkey, President Recep Tayyip Erdogan was re-elected with a total of 52.59 per cent of votes in the elections on 24 June. This is evident from the final results published today by the High Electoral Council (YSK). The candidate of the largest opposition party CHP ended with 30.64 percent in second place. The third was Selahattin Demirtas of the pro-Kurdish party HDP (Democratic Party of Peoples), with 8.4 percent of the votes behind his name, posts MAG Mania. The Electoral Commission also published the results of the parliamentary elections. Erdogan’s conservative Islamic party AKP (Party of Justice and Development) won 295 seats in parliament, just not a majority. The AKP, however, forms an alliance with the extremely nationalist MHP, which conquered 49 seats. Together they do have an absolute majority. The CHP has to make do with 146 of the 600 seats. The Turks went to the polls for parliamentary and presidential elections on 24 June. The early elections were crucial for the future of Turkey, which makes the transition from a parliamentary to a presidential system. The turnout was 86.2 percent.